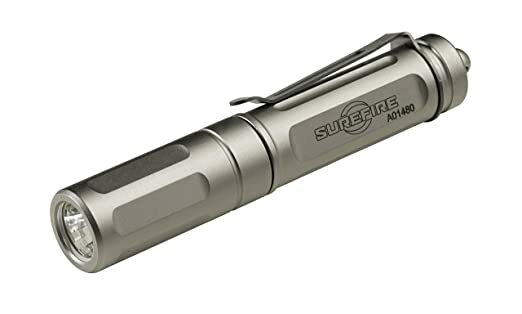 SureFire is known as one of the most highly regarded brands in the tactical flashlight world. They are expensive but quality is outstanding. As good as their products are, many of Surefire products aren’t as exciting for flashlights fanatics, also known as flashaholics. There are several brands out there that are more affordable, offer good value and update their products more frequently to satisfy the demands of their lumen thirsty clients. Surefire recently presented two new EDC lights that depart from their more classic line. Both are keychain lights, which is a category I’m always interested in. I firmly believe that what you have in your keychain is likely to be there when needed most, so I pay particular attention to that. The Surefire Titan Plus is the one that really caught my attention. I droll all over a powerful AAA keychain light and this one is currently the brightest at 300 lumens for high (300 lumens / 1 hour), medium (75lumens / 2 hours) and low (15 lumens / 7 hours). Like the Sidekick, it has a proprietary faceted reflector (MaxVision Beam™) which creates a broad, smooth beam. The second one is a small keychain light called Surefire Sidekick. 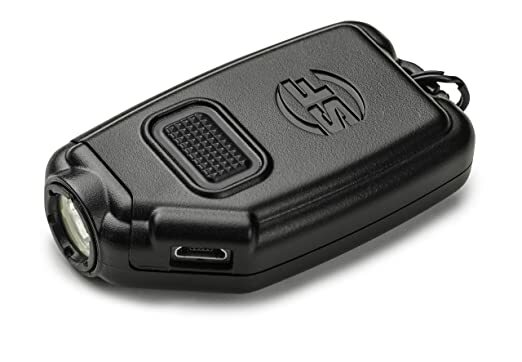 It has the form factor of a small square polymer remote control, multiple intensity outputs, Low (5 lumens / 45 hours), medium (60 lumens / 4 hours) and high (300 lumens / 1.25 hours). The nice thing about this light, besides its peculiar shape which departs from the traditional tubular form factors, is that that it uses a fixed battery rechargeable through a micro USB port. I favour replaceable batteries but I do like the micro USB recharging feature. Given how common these are I can see how someone would easily integrate this to their routine, recharging his EDC light just like they recharge their phone with no problem.